[NOTE: James Burke ARDIS is Generation Six in the William ARDIS Sept (William, William, William, Samuel, Evart), and brother to ARDISNet Webmaster, Thomas John ARDIS. Patty Burns ARDIS is Jim's wife. Pat's mother was Katherine BURNS (dec.) and her father was Captain Gene BURNS (dec.), former Number-Two Pilot with American Airlines. Jim and Pat have three (3) kids: Steve ARDIS, Andrea Ardis COYLE, and Jodie (Jo Ellen) ARDIS. When our offspring, Steve, Andrea and Jodie, were in grade school in the 1970's, they felt they were going on a great adventure to take the bus from Ann Arbor to Mt. Pleasant for a visit with Great Aunt Katherine and Great Uncle Hilton. Katherine Ardis Ux in her Mt. Pleasant, Michigan USA studio around 1978. They explored the woods and area surrounding the house as well as the interesting things in Hilton's garage workshop and Katherine's weaving studio. They were so excited to show us the treasures from their trip: pillows woven themselves on Katherine's loom and peanut butter fudge made with Hilton from his special recipe. 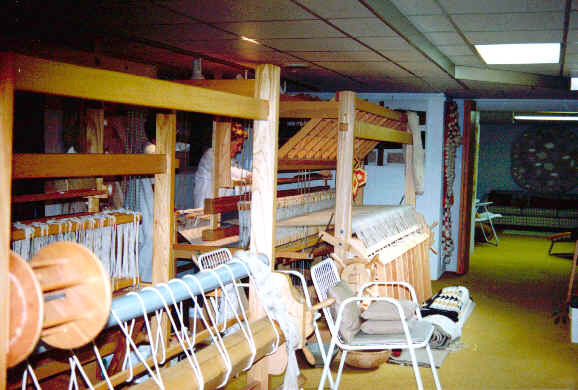 Two of Katherine's prized hand built looms in the basement studio of her home at Mt. Pleasant, Michigan USA... around 1978. In later years we enjoyed our visits with Katherine as she showed us her latest "works in progress"... describing the background of the piece and the challenges she had to overcome to complete it. 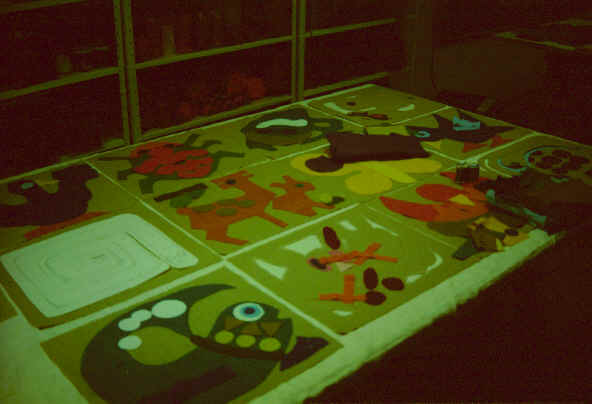 A large applique wallhanging by Katherine Ardis Ux in the studio at Mt. Pleasant, Michigan USA... around 1978. On one lengthy visit she showed us all of her career artworks which remained in her studio. She described the source of the idea for each piece, the materials used, the places where it had been displayed and her own special feelings for the piece. 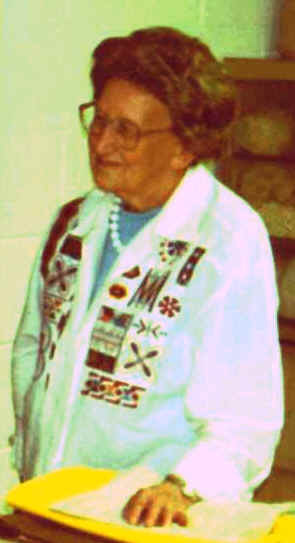 We are very proud to have examples of Aunt Katherine's art in our home. Her warm spirit will live on in her artwork and in our memories.